Events - Allan Marston Connect and Collaborate with Allan Marston to make our world a better place. 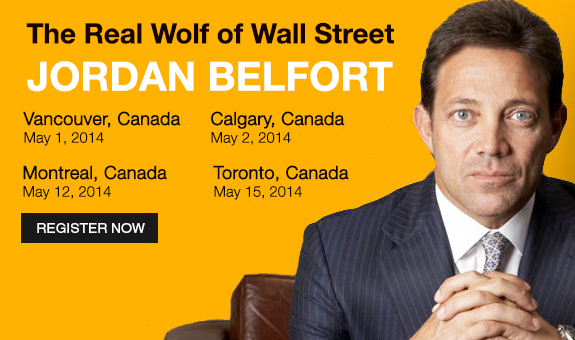 Right from the Smash Blockbuster Movie, Jordan Belfort the REAL Wolf of Wall Street (performed by Leonardo Dicaprio), will tell his story and share with the audience proven ethical sales strategies to increase sales and profits in your business. which he talks about and the mistakes that he’s made in his life…. The Straight Line Persuasion System will ethically show attendees how to increase sales, design a powerful vision for their business, how to use the most powerful business system devised and learn strategies and psychology to thrive in today's economy. ü How to raise money through Venture Capital and Angel Investorsso you can start using Other People’s Money to fund your ideas and grow your business.